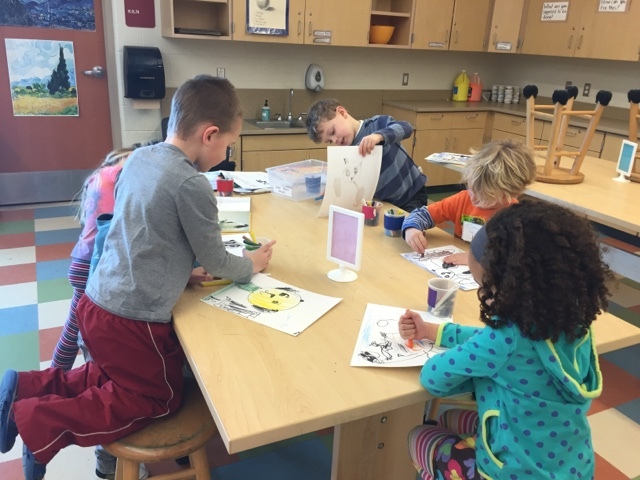 Prek can be tricky when it comes to having everyone on task. Their attention spans are the shortest of all my classes so how I run the room needed to be adapted. Another art teacher in the district who teaches a lot of prek classes told me how she runs centers. I figured it was worth a try and I'm so glad I did it! There are four center students rotate around. One center is the lesson with me. I live this because I can have students who need extra guidance sit right next to me. The small group instruction allows me to make sure comprehension and quality are present. The projects take slightly longer to complete but the quality has improved greatly. 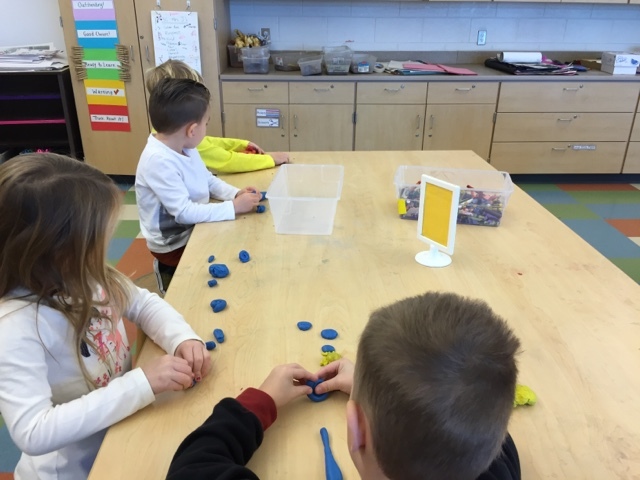 Another center is modeling clay. The rolling and pitching of clay is perfect for improving fine motor skills at this stage of learning. Whiteboards is the next station where students work on holding the dry erase marker and drawing. This can be used as an extension of the lesson where they can continue to make what we were learning. The last stage is the building blocks. At this stage of their growth students are improving their spacial awareness by creating towers or enclosed spaces. 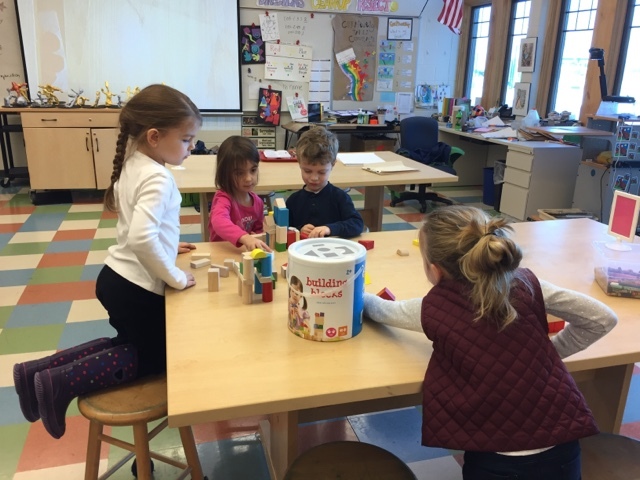 Representation is also a stage that prek should be exploring so creating buildings, castles, stables are all important and achieved through play with blocks. Each center lasts around 5-10 minutes which is right in range of their attention spans. Therefore, students don't get bored or if they do, they will soon be at a new center.